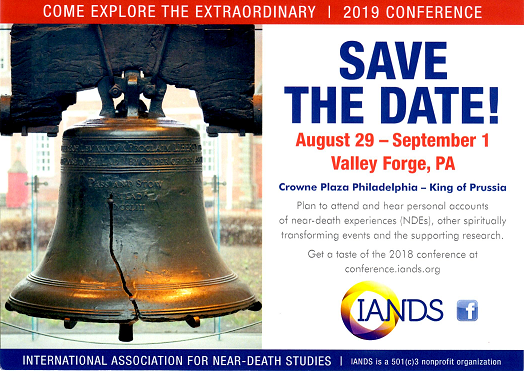 Our annual North American conferences provide current and topical information about NDEs in an informal setting. Near-Death Experiencers, Educators, Care Givers and the general public all find programs and activities of interest in these events. This section contains a summary of previous IANDS conferences and links to materials from them. Click here for the details of each conference and the available CDs, DVDs and handouts.